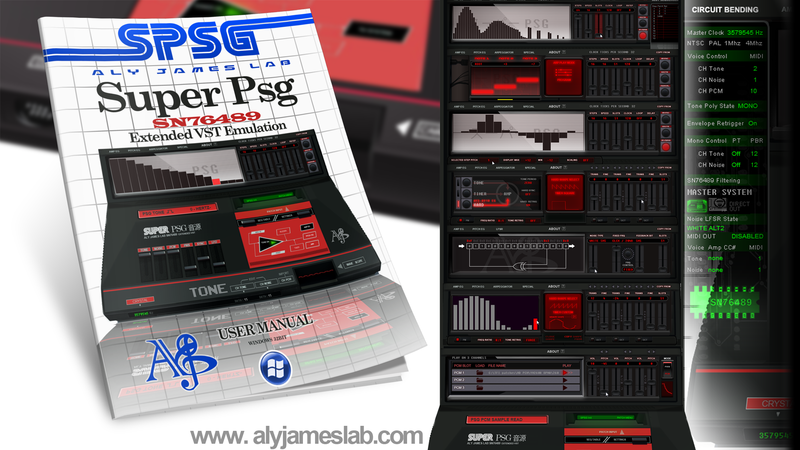 The output can be converted from MIDI into a .vgm file using the free tool M2v_PSG by Valley bell. Can also work as a controller for a modified version of the Little Scale's open source SN76489 interface. Should work with GENMDM too. Look'n/sound'n good! Will it support both of LS's GenMDM and the SMSM midi interfaces? Please?!?! Done it works I will take some time to perfect the hardware side anyway before releasing the Teensy code. It should be the same for SMS & GenMDM interface hopefully. 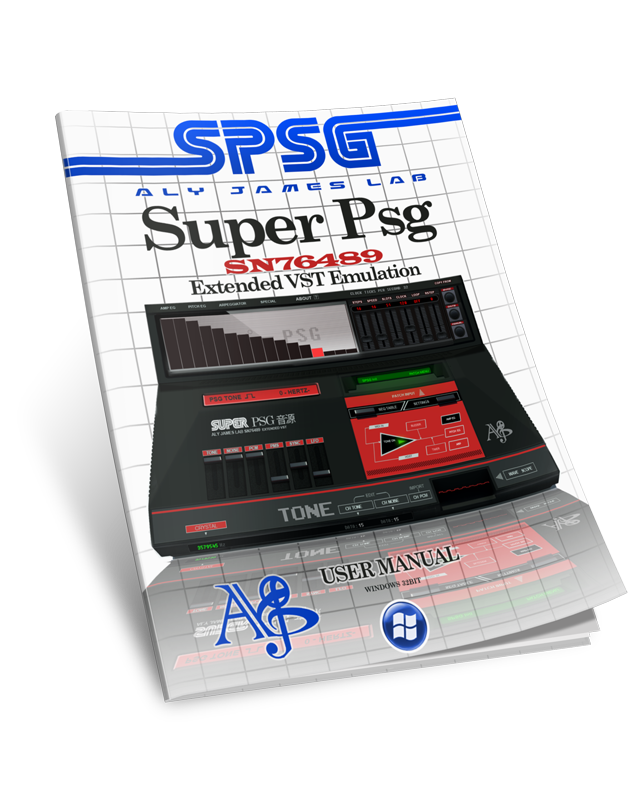 So basically Super PSG Vst is ready ! I will need a few more days to make the manual (lot's of features in here) update the website and make the release news public. Can't wait. Take my money! Currently writing the manual...release in few days! The 50 pages manual is done and the website is almost ready to receive the baby. Don't forget you got TIMER effects + a built-in AY3 8910 envelope generator emulation and some unique NOISE tweaks inside! The manual itself is a good resource for any PSG fan grab it! Now that this is released are you still planning to make osx versions? Yep, After I will complete my last scheduled project (Linn Lm-1 Drum Machine VST with direct EPROM binary loading features...) I will start to familiarize with OSX and try to port these (I never had a mac since ^-^) so it should be around summer 2014. I know this is a topic we've already discussed, but will this be able to adjust the ADSR, functions on GENMDM? So far ive only been able to affect the expression/velocity commands. If your VST can do it, I'm sure to donate sooner then later. You can also play the data on the hardware by converting SPSG output to VGM then write a ROM file without needed GenMDM. 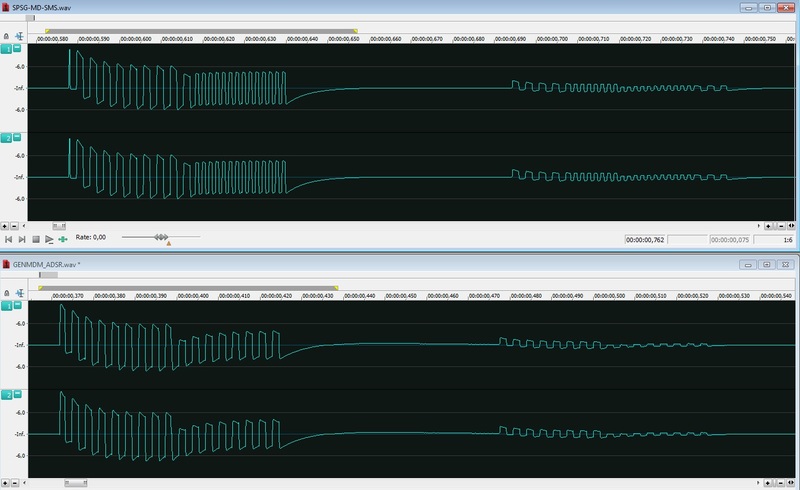 The MD filter also emulate the Megadrive / Genesis filtering accurately (it also emulate SMS and unfiltered output). Here you can see an audio log of SPSG data with arpeggiator ON (same pitch, +1 oct, same pitch) and same thing with GenMDM arpeggiator OFF. There is some nice stuff to implement and little stuff to correct on the GenMDM side, I hope Seb will continue the project at some point in the future...it has been a while since I heard anything from him about GenMDM.